HOUSTON (KTRK) -- Houston's culinary scene is booming. Here's a list of the best Super Bowl special events from Houston restaurants this week. 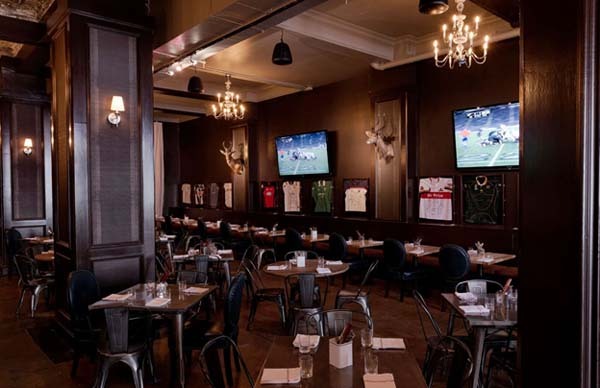 Additionally, the restaurant offers late night delivery on Friday and Saturdays until 2am, including to hotels in Downtown, Midtown, Montrose, and the Heights. 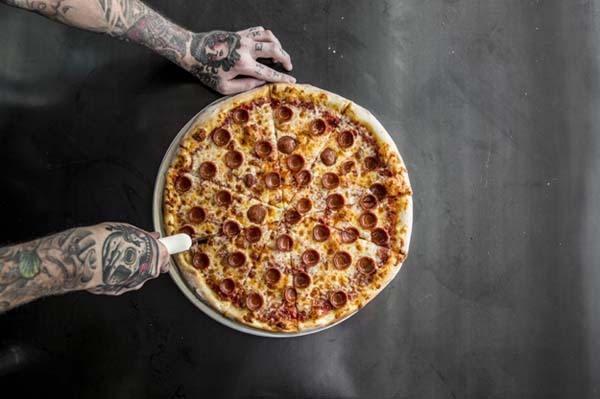 During Super Bowl, it will go a bit out of our delivery zone (e.g., Galleria) on orders $150. www.pipizzahtx.com or 832-767-2433. 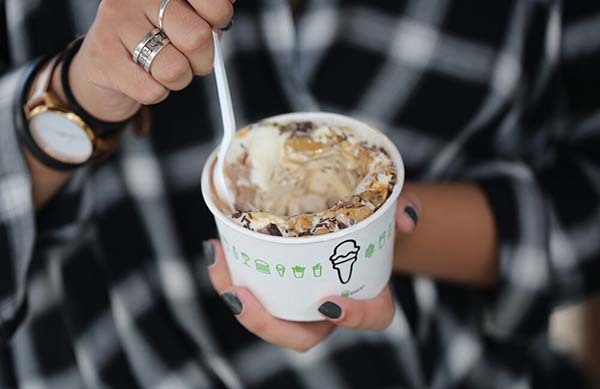 We're super excited to announce that Shake Shack is offering the "Touchdown Toffee" exclusively at the Houston Galleria Shack in celebration of the big game landing in Houston. The Touchdown Toffee will be available from till February 5. 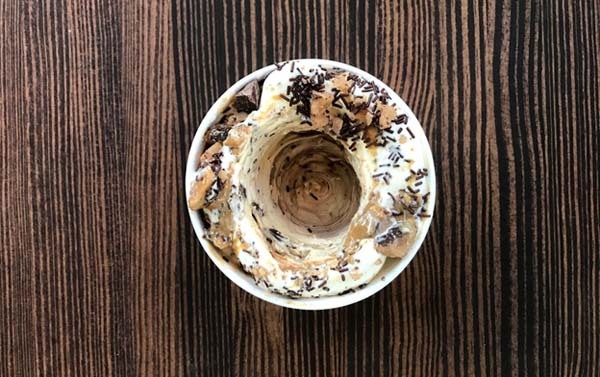 The Touchdown Toffee is spun with vanilla and chocolate custard, chocolate toffee and peanut butter, and topped with chocolate sprinkles. Restaurateur Benjamin Berg presents "Social 51" -- a pop up lounge in the parking lot of one of Houston's finest steakhouses. The upscale, tented party 4pm - 2am, Wednesday, February 1 - Saturday, February 4. On Wednesday, February 1, Shiner's sixth brewmaster, Jimmy Mauric, will be at the Shiner bar doing educational tastings from 7-10pm. On Saturday, February 4, Adam Harris, the National Bourbon Ambassador of the Beam Inc. family, will be doing educational flight tastings from 6-8pm. Ninfa's on Navigation not only offers fajitas (it is the birthplace of the dish! ), but it also offers a lively vibe -- perfect for a Super Bowl fiesta. Ninfa's will also be offering free shuttle service for customers to and from the NFL Fan Fest and Super Bowl festivities at Discovery Green and George R. Brown, on select days. The restaurant will be offering the shuttle for the Rockets game on Thursday (2/2) and Friday (2/3), and then Saturday (2/4) from 12-8pm for the NFL Experience at George R. Brown and then Sunday (2/5) from 11am-3pm for the NFL Experience at George R. Brown. Customers will have to show the driver their receipt from Ninfa's in order to get a complimentary ride. It may not be the most obvious football grub, but the South African classics at The Springbok pair perfectly with the big game. Food and drink specials (including chili bites, beef jerky, deviled eggs, brats and wings) will be available throughout the game. Chef Seth Greenberg will be grilling Brats from the patio and offering to-go snacks of Pork Rinds, Chili Popcorn for on-the go guests. This Mexican-inspired seafood restaurant will be offering happy hour all day starting Friday-Sunday. Enjoy oysters, shirmp aguachiles, and the famous seafood tower. 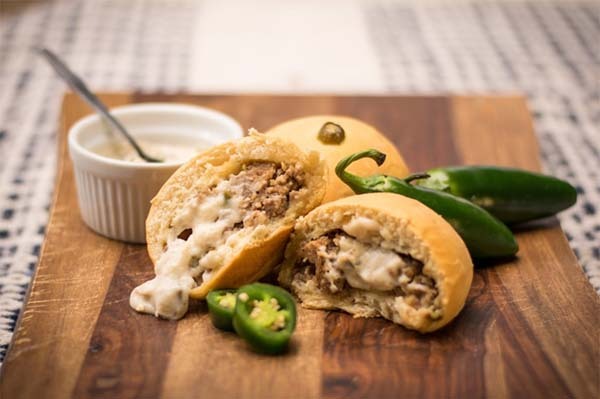 Houston's favorite kolache chain has teamed up with Lee's Fried Chicken & Donuts to create a limited-time kolache creation -- the "Sausage and Jalapeño Gravy" kolache. The pastry will feature Lee's mouthwatering jalapeño cream gravy mixed with crumbly breakfast sausage. 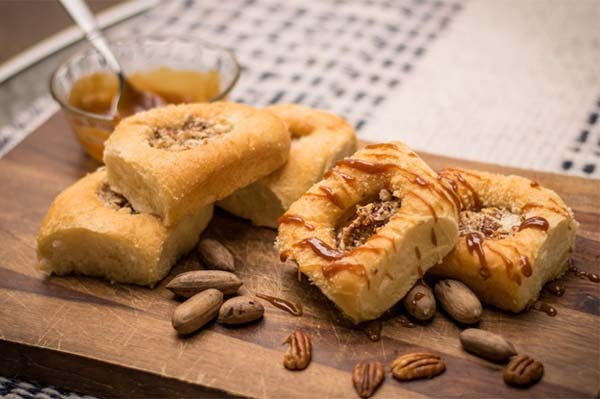 For a sweeter taste of Texas, take a bite of the "Drunken Texas Pecan" kolache featuring Bourbon Cajeta from local Blue Heron Farm, sweet cream cheese and lightly salted Texas pecans. Houston's most well-known craft brewery has big plans in store for Super Bowl week, including extended hours, special flights of its limited production brews (including Bishop's Barrel 16). Check the schedule for information on offerings throughout the week, including food from Pink's Pizza, Geeks Who Drink Trivia Night, and an evening of cheese with Houston Dairy Maids. Enjoy a tasting of some of the brewery's favorite limited release beers during the Cellar-Bration on Saturday. Super Bowl Sunday becomes "Super Beef Sunday" with barbecue from Legendary Louis Mueller BBQ, Pinkerton's Barbecue, and Harlem Road Texas BBQ. Sweet tooth? 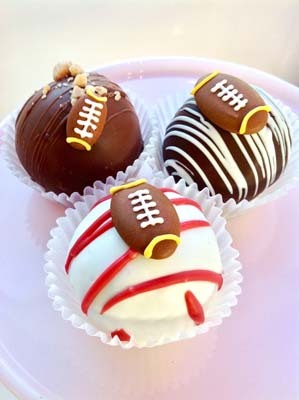 These wee little treats pack a lot of flavor and team spirit: Football Shaped Cake Balls and Cake Pops, Texas Shaped Chocolate Dipped Rice Krispie Treat, and Team-Colored macarons. Items are available for pre-order or pick-up at the counter. 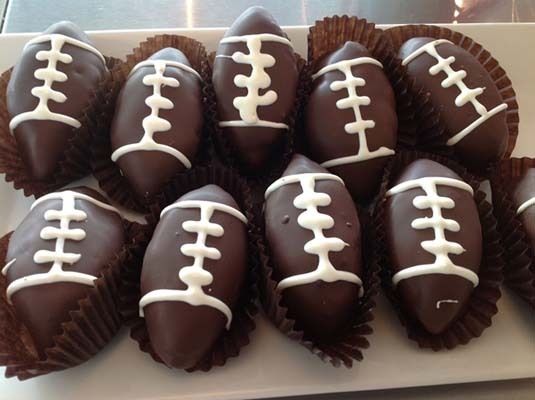 The local bakery chain owned by award-winning pastry chef Vanessa O'Donnell is offering buttery shortbread bearing football designs and two-bite pig skin-shaped chocolate truffles. There are three locations in West Houston and Katy. 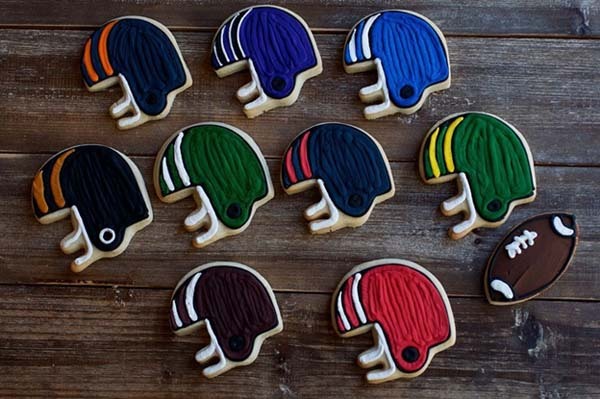 Crave is offering frosted sugar cookie footballs and Texas Super Bowl-themed cupcakes (mini and full-sized) for the big game. Crave cupcakes are made daily with madagascar vanilla, European chocolate, and dairy from Texas farms.